Missoula wants the state to adopt some national limits for toxins in groundwater, but industry lobbyists are putting up a fight. The decision could have a significant effect on the cleanup of Smurfit-Stone Container’s former mill site in Frenchtown. On Thursday, the Missoula City-County Board of Health sent a letter to the Montana Department of Environmental Quality supporting the creation of health standards for certain metals and chemicals in groundwater. The limits would apply to iron, manganese, diallate, diaoxane, and two fluorine-based chemicals that used to be in firefighting foams and Teflon. The last two chemicals were discontinued in 2015, but stay in the environment long term. Everybody now has it in their blood, Seib said. People need both elements in their diets, but too much manganese has been associated with adverse neurological effects while too much iron can initially cause stomach problems and progress to liver and brain damage. Montana naturally has high levels of manganese, higher than most states, with several places having groundwater concentrations as high as 2,000 micrograms per liter due to geology. Not so in Missoula’s city water supply where manganese is undetectable. The state is proposing a manganese standard of 100 micrograms per liter. That means those responsible for the Smurfit-Stone mill site cleanup – where manganese in one well was as high as 52,000 micrograms per liter – would have to pay for a more complete cleanup. Right now, with no standards in place, they don’t have to reduce the level of manganese that much. “If it’s not listed as a standard, they’re not in violation of a standard,” Seib said. Iron is also naturally high in some of Montana’s groundwater. The proposed state standard would be 4,000 micrograms per liter, which again would cause problems for the Smurfit-Stone site, which has concentrations of up to three times the standard. Normally, DEQ reviews water-quality standards every three years, with the next cycle occurring in 2020. DEQ’s Waste Management Remediation Division chose to propose the human health limits in December because the six chemicals are either found in Montana, often at sites that are currently in the process of toxic cleanup, or Montana doesn’t have updated standards as required by federal law, Seib said. The Environmental Review Board intended to decide whether to accept the new standards in February, but the board received more comments than anticipated. So the comment period was extended 45 days, and the City-County Health Board is weighing in before the March 25 deadline. The Water Quality District also sent a letter supporting the standards. In the meantime, because of industry pushback, DEQ is doing more outreach regarding the iron and manganese limits, Seib said. “Maybe we can figure out how to apply some pressure,” Slotnik said Thursday. 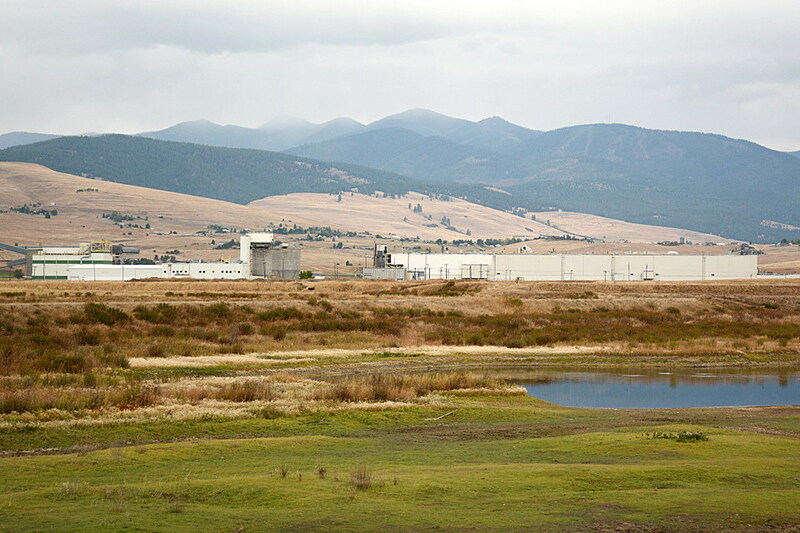 If Missoula has to wait until next year, the Environmental Protection Agency is still assessing the Smurfit-Stone site for toxic risks and could include manganese and iron requirements in 2020. Contact reporter Laura Lundquist at lundquist@missoulacurrent.com.